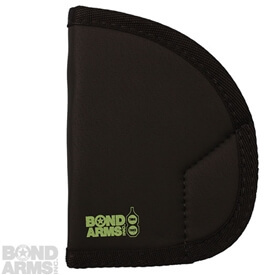 BAN - Bond Arms Nylon holster. 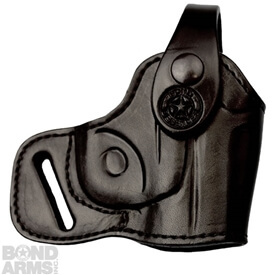 Upright with a thumb break retention strap. 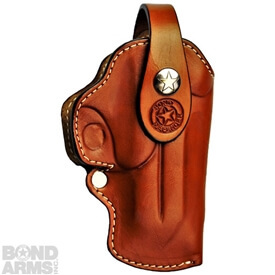 Rugged ambidextrous holster that stresses functionality. Fully adjustable. 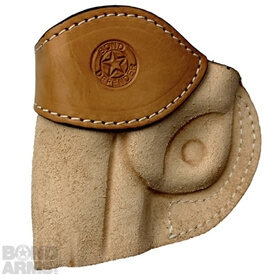 NOTE: Does Not fit 4.25 inch barrel or derringers without trigger guard, such as Cowboy Defender.